We enjoy watching movies at our house, but it's important to me that we have access to good quality movies. I was extremely excited to have the opportunity to watch Agenda 2: Masters of Deceit from FishFlix.com. 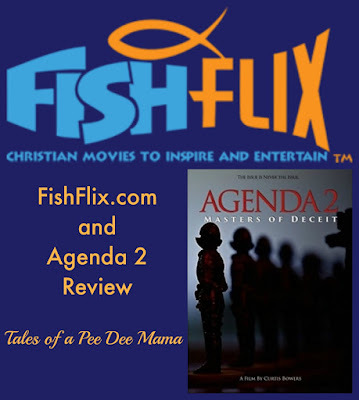 For this review, we received the documentary Agenda 2: Masters of Deceit on DVD. This documentary was produced by filmmaker Curtis Bowers, who also produced Agenda: Grinding America Down in 2010. That film was one of the best-selling independent documentaries of all time. 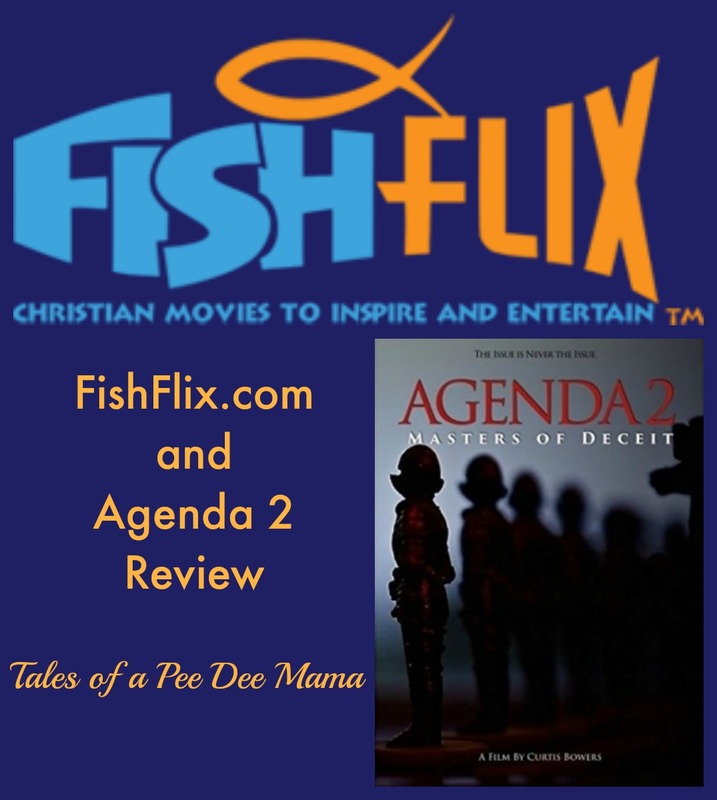 Agenda 2: Masters of Deceit is a color film that is 87 minutes long. This is one of the most eye-opening documentaries I have seen in a very long time. Like most people, I assumed that the Cold War ended with the break up of the Eastern European countries as well as the destruction of the Berlin Wall. After watching Agenda 2: Masters of Deceit, I am definitely rethinking that position. Curtis Bowers puts forth a strong argument that communism is still alive and well, just much quieter and behind the scenes than it was years ago. Bowers stresses to his audience that, as Christians, we need to take a more active and alert role in our country. One of the main things he encourages us to do is to pray. It was a great reminder to me that I need to do a better job of praying for my country, for our leaders, for the upcoming election. Another thing Bowers encourages is for us as parents to take back our children's education since a lot of the propaganda is being pushed in the public school system and especially at the college level. It makes me happy that we are homeschooling. I pray that my children's faith will be strong enough when they go to college that they will be able to withstand the barrage of pressure they will face. FishFlix.com is an online Christian and family movies company. This company was started by Dr. Enis Sakirgil, a Turkish Christian, over 10 years ago. After working on the Christian film Apostle Paul and the Earliest Churches, Sakirgil began selling it and other Christian movies - the beginning of FishFlix.com. 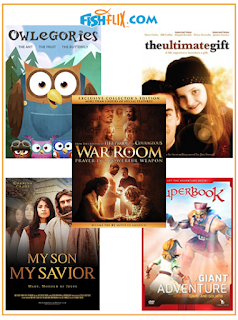 Currently based in Mora, Minnesota, the company seeks to offer amazing customer service, unbelievable prices, and great variety for fans of Christian movies. Some of the other movies available are Owlegories 2: The Ant, The Fruit, The Butterfly; Superbook: A Giant Adventure; My Son, My Savior; The Ultimate Gift; and War Room. (I've shared with you all before how much War Room has changed my life.) FishFlix.com is offering a drawing to win these 5 movies that you can enter; this is over $80 in DVDs! To enter the drawing, you just have to join their email list here. Are you interested in what others have to say about FishFlix.com? Check out more reviews from the Schoolhouse Review Crew.